The family Greenhab is just back from a fantastic trip to New Orleans. We fed the homeless, worked on a home being rebuilt, worked on one being fixed up, saw the 9th Ward, walked the city, and ate until our buttons popped. The couple we went with took us down to meet their cajun family in the bayou who fixed us the most delicious jambalaya. I almost feel bad saying we had a great time when so much of what we saw was the destruction still left from hurricane Katrina, but by "great" I really mean memorable, insightful, and thought-provoking. As we headed to the Lower 9th Ward one morning, we drove over the Mississippi and saw a group of houses with solar panels on the roofs. "Awesome!" I thought. Then we turned the other way to tour some of the homes you've seen on television. Of course others don't have more than a front stoop to come back to. Crossing the street, I learned that the block with all the solar panels was the historic Lower 9th Ward. This photo was obviously taken from a moving vehicle, but if you look closely you can see. At the bottom left side of the photo (behind the pole) is a cement wall. That's the levy. The grass you see to the right of it is actually a hill, so the houses at the bottom sit quite a bit lower than the levy. During the storm, a barge went straight through the cement wall, allowing the 9th Ward to be flooded with over 25 feet of water. This portion of the neighborhood is slowly being rebuilt by Make it Right, a foundation founded by Brad Pitt that builds safe, affordable and sustainable houses for the families of the Lower 9th Ward. The homes are LEED certified and the Make it Right community is now the largest, greenest neighborhood of single family homes in America. On the day we toured the neighborhood, we had the honor of meeting Robert Green, owner of one of the Make it Right houses. 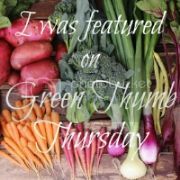 Mr. Green has been on all the major news channels, in Time Magazine, and in a variety of newspapers, telling his story. I can't come close to doing it justice but, in a nutshell, his family was turned away from the Superdome and asked to come back the following day. Unfortunately the storm hit that evening. He and his family, including his ill mother and his granddaughters, broke through the ceiling of their house to climb onto the roof. The house was washed away. Eventually it broke apart and his 4 year old granddaughter was swept from his arms into the water. His mother also died that day. He ended up on the roof of a floating car and was eventually rescued by a neighbor with a boat. The new houses in the Lower 9th Ward are phenomenal. They're not traditional in any way, shape, or form. They're funky and bright and sustainable. But for the 30 or so homes that have been built - or are in progress - there are thousands more in New Orleans that are non-existent or in shambles. One of the things that Mr. Green said that has really stuck with me was that, yeah, Brad Pitt built his house, but it was us - the groups of people from literally all over the world - who have come to help that really moves him. He was bitter at first about being forgotten by the government, but then we started showing up, and five years later we haven't stopped. And, trust me, five years from now they will still need our help. So next time you find yourself with an extra buck to donate, or some vacation time coming up, contact an organization like Make it Right or Habitat for Humanity and see what you can do to help. Even if it's not in New Orleans, but just down the street, there are people out there who need to know that they are not forgotten. Truly inspiring. Thanks for sharing, Kellie. Thank you for sharing! Off to check out Make it Right...right now.